Adornable Elements Beads of the Month Clubs are the original beading subscription boxes (they’ve been around since 2000). Choose from “Hot and Trendy” beads, “2-Hole Beads,” “Superduos,” “11/0 Delicas,” “11/0 Seed Beads,” “Swarovski crystals,” or a rotating club where you get a different selection each month. The cost varies depending on the club selected and whether you choose the single or double club. This is a review of the 11/0 Delicas of the Month Club, which is $24.95/month. Note: I actually subscribe to several of these clubs and they all come in the same package (that’s why the box is so big). I’m going to do a rotation with these reviews so you’ll see something a little different each month. This month in my package, I received this notice. Time really flies. 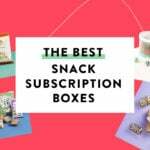 It seems like not too long ago that I saw an ad for this subscription in Bead and Button magazine (I think) and signed up. But apparently, I’ve been subscribing to one version or another for two whole years. Here are the bonus Swarovski crystals. This is a fun spring color and there are several different sizes/shapes represented here. And here is the bonus project bag/tote. I tend to keep my projects in cafeteria-style trays shoved on top of books on shelves (you know, away from cats) but this will be useful for carrying small items back and forth from work (tea, tumblers, heels if I don’t want to climb the stairs in them, etc.). This is an interesting color. I feel like opaque colors are often overlooked in favor of colors with fancy finishes, transparent beads, etc. Duracoat finishes are supposed to be super durable, as the name suggests. I need to test this out sometime by making a bracelet where they are super snug against my skin and see if that claim holds up. Anyway, this matte green will be good for spring projects. Sometimes, color-lined beads can be kind of strange (like light blue lined with dark pink or something). But here, it works. I have found that color-lined beads can be good at transition points in beadwoven pieces between the outer color and inner color of the color-lined beads. Lest you think from my earlier comments that I don’t like transparent beads, I am actually quite happy to see these. They catch the light very well and I’ve been on a bit of a pink binge lately so they already match a lot in my collection. Remember when I mentioned unusual color combinations up above? These kind of qualify, I think, although honestly, this is not too jarring since they are both cool colors. I can definitely see these as transition beads between more pinky-purples and teals. This is another fun color that is subtly different from the mulberry beads above (it’s easier to see such things when you’re looking at the beads next to each other, though). I am liking this semi-frosted finish a lot. You can sort of see how these are color-lined if you look at the beads in the photo that are standing on end. Otherwise they kind of just look like pretty aqua beads. Either way, this is a good color for my current favorite color palette. I was doing well, having finished projects for FOUR bead subscriptions the day before, and I had like a whole Sunday to work on this, and I thought, “I know, I’ll try using the Ricks Loom I got with Amazon points.” Well. That is the most complicated bead loom I think I’ve ever set up (I didn’t break out the Mirrix I also got yet because I don’t currently have the table space). I was getting super frustrated until I got the first two rows of beads in there (and I *still* ended up with some crossed warp threads but I’m going to force my way on to the end anyway since I’ve come this far); I swear that took half the day right there. I will get better. But anyway, all this is to say that I didn’t finish this, which is going to be a loomed bracelet with the repeating pattern you see in the sample. Verdict: I calculated a value for the January 11/0 Delicas of the Month Club of $28.50. This is just shy of the cost of the box plus shipping, which is usually the case for this subscription. I save on shipping because I get three clubs (I just review one per month) and you can also save a little more by going for the double clubs. This was another good month for me; I am trying to expand my collection of colors and the monthly themes are different enough that there aren’t color repeats (and even if I do get, say, a green in a future package, it’ll likely be subtly different in color or finish). This is a great club for building your stash of Delicas, especially if you like to either make a lot of small projects or if you like to make complicated patterns involving a ton of different colors. Can I still get this box if I sign up today? Yes, in my experience you’ll get your first shipment shortly after you sign up, and then this ships early in the month after that. Value Breakdown: At $29.45 (including shipping) for this box, you are paying about $3.68 per item. Check out all of our Adornable Element Beads of the Month Reviews and more great beading, craft supply, and DIY project boxes in the Craft Subscription Box Directory! What did you think of the January 2019 Hot and Trendy Beads of the Month Club? 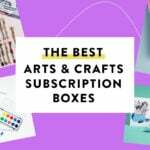 Do you subscribe to any beading or craft boxes? How do subscribers rate Adornable Elements Beads of the Month Club? Do you subscribe to Adornable Elements Beads of the Month Club? Add your rating now! So pretty! Can’t wait to see the finished project!